During fall 2010 and winter 2011, I pushed my wood & wire work to a new level. Inspired by Native American culture and my love of nature, I decided to construct a wigwam. Through the cooling days of fall and freezing temperatures of winter I worked until completion. Fall and winter naturally became time to build by point of interest and inspiration. I rarely plan my art endeavors, but rather follow a feeling. It was just time, despite the season. The wigwam is 14ft wide and 8ft high. I have always been greatly inspired by a variety of indigenous cultures, survival, and living with nature rather than amongst it. I have been constructing sculpture from found, natural debris for over 10 years. 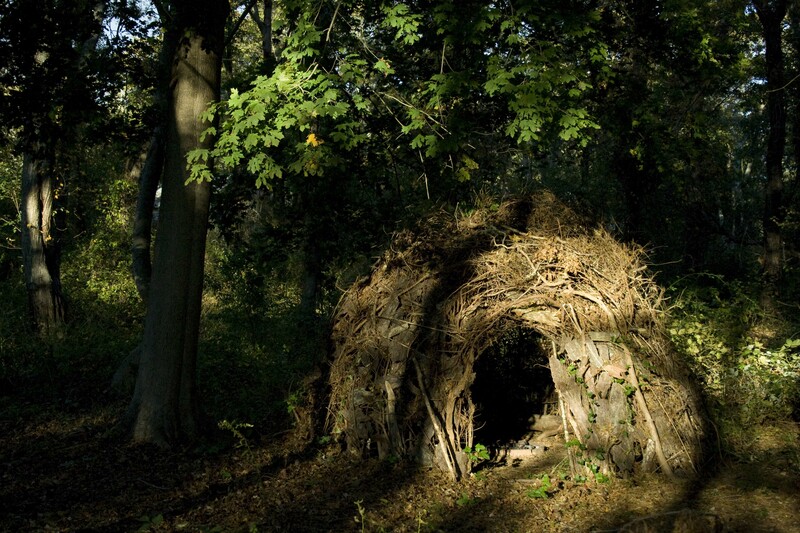 To build a shelter from only the use of my hands, a few basic tools, and local, natural debris was a challenge I became completely enthralled in. I truly believe with will and wit one can conquer any feat. I also believe it is of great importance that human beings return to a more natural way of living. Human beings have evolved so far in their minds and intelligence that they have forgotten the raw foundation of their existence. If you were left to fend for yourself, to find food and make shelter in your region, could you do it? Most would say they do not have the knowledge, including myself. We depend too much on corporations for our survival needs and have lost important animal knowledge. How could we evolve so far away from our natural means of survival? 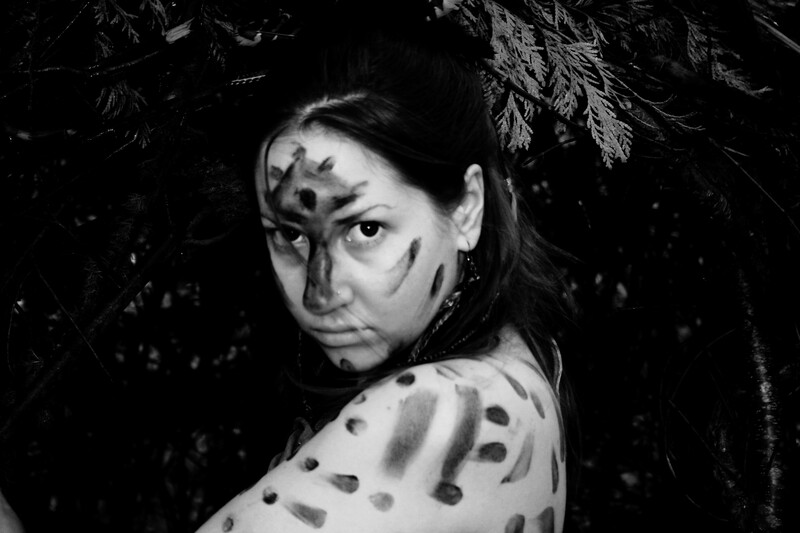 Let’s not forget…WE ARE ANIMALS. It amazes me Native Americans lived in this region through all seasons surviving with nature and wasting nothing. It was great pleasure and hard work building a wigwam. To think traditionally these structures were built using bone or stone knives and woven cattail mats truly amazes me. My feat does not compare to the extreme precision and wit indigenous cultures posses in living amongst the land. Building the wigwam was an act of appreciation for the animal origin of human existence and an educating experience through process. I did not follow any plan but problem solved along the way. I have much to learn about true survival in our region but am always eager to learn more. The wigwam is a reminder of what is truly possible. I totally agree with you, your perspective is spot on. I like your primitive wig wam and was actually thinking of building one myself in the near future. I was wondering if building a four by seven feet wig wam was possible? I was thinking of adding a fire pit in the middle as well, anyways, congratulations on your first wig wam construction. And that part about us humans being animals is absolutely true.